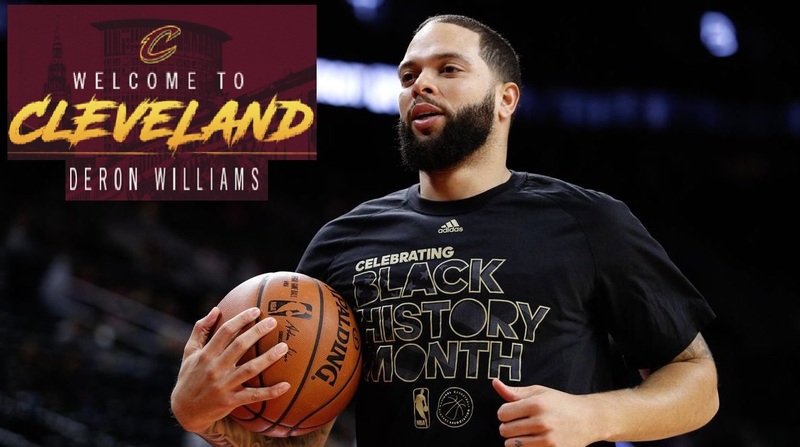 NBA – Veteran point guard Deron Williams is the newest addition to the Cleveland Cavaliers roster. Williams sign yesterday February 27 (US Time) with a veteran’s minimum worth $900,000 that he will receive for the remainder of this season. Williams was waived by the Mavericks on February 23 and immediately give his intention of joining the Cleveland Cavaliers. The acquisition of D-Will will give another playmaker for the team that LeBron James is looking for and that will back up Kyrie Irving at the point guard position. Aside from being a backup point guard Williams will strengthen the second lineup of Cavs bench, currently this 2016 -2017 season D-Will is averaging 13.1 ppg, 6.9 assists and 2.6 rpg as part of Dallas Mavericks starting point guard. In an interview D-Will said he decided to join the Cavaliers thinking that this is the best team that he will be fit in? Feels comfortable and thinking that he will have a significant role with the team. Aside from that he will reunite with his friend and former teammates in Utah Jazz Kyle Korver, who rejuvenated his career in Cavs uniform. The addition of Williams will give another fire power for the team, giving a great chance of defending the Cavaliers title in the hands of the super team Golden State Warriors? Who many sports analysts think that it will be another Cavaliers and Warriors NBA Finals for the 3rd consecutive time. Aside from Deron Williams acquisition, Andrew Bogut is another big man that the Cavs are eyeing for the team, if Bogut decided to join the Cavs then it will give a tremendous boost to the already powerhouse roster. No Comment to " CAVS Add Former All-star Deron Williams to Strengthen Their Already Power House Roster "